Fuller faces often make people look like they carry more weight than they do. Sara Yegiyants, MD, FACS, a triple board-certified plastic surgeon, performs chin reduction on men and women living in Santa Barbara, Ventura, Santa Maria, and nearby neighborhoods in California who want to balance facial features and have more defined chin and neckline. What is a Chin Reduction? Also called reduction mentoplasty, a chin reduction is a cosmetic procedure that reduces a prominent chin by shaving bone from the chin. The procedure improves the appearance of the face by creating a more proportional appearance. Who is a Good Candidate for a Chin Reduction? Candidates for chin reduction are unhappy with the appearance of their chin either because it is too large, too pronounced, or misshaped. It is important to be in good general health and at an adult age. How is a Chin Reduction Performed? The chin reduction procedure is performed by making a small incision either under the chin in the small crease or through the inside of the mouth at the bottom where the lower lip meets the gums. Once this is done, the tip of the chin’s bone is removed, and the rest is contoured to make it more proportionate to the rest of the face. If necessary, the excess fat tissue is removed to give the lower portion of the face more structure. The incisions are closed, and any extra skin is excised. Chin reduction is a cosmetic procedure that requires a combination of skill and artistry to create a less prominent chin and balance it with the other facial features. It is typically performed on an outpatient basis under general anesthesia and takes about one to three hours to complete. How is the Recovery from Chin Reduction? Following chin reduction, the chin is bandaged and wrapped to protect and support it during the healing process. Patients should plan to take a week off work and other daily activities following the procedure. We provide instructions regarding eating, drinking, and oral hygiene during the first week to minimize discomfort. After about one week, it is possible to return to work and other activities but refrain from any heavy lifting or strenuous activities for a few weeks. When Will I See the Results from a Chin Reduction? The results may take several weeks or months to fully reveal themselves. Once swelling and bruising subside, the full results are visible. How Much Does a Chin Reduction Cost in Santa Barbara? The cost of chin reduction varies depending on the extent of the procedure and whether other procedures are performed during the same procedure. We discuss the costs with patients during a consultation along with payment and financing options including financing through CareCredit® and Alphaeon®. 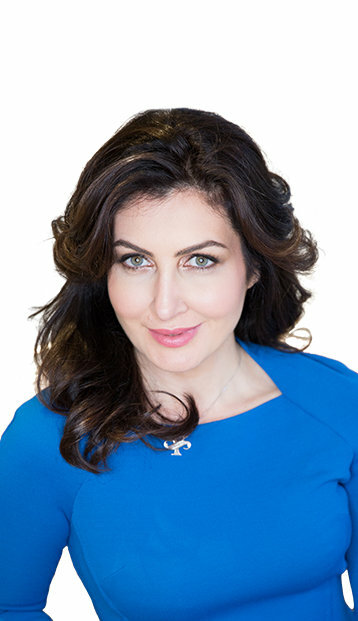 If you live in Santa Barbara, Ventura, Santa Maria, and nearby neighborhoods in California and are looking for a triple board-certified plastic surgeon to perform plastic surgery, contact Sara Yegiyants, MD, FACS, in Santa Barbara, CA, today, to schedule your complimentary consultation.